Sigur Rós recently dropped some hints about their forthcoming album and confirmed that they had become a trio following the departure of keyboardist/co-founder Kjartan Sveinsson. As expected, the Icelandic dream weavers have now announced the details of their latest disc, Kveikur, which will arrive on June 18 through XL Recordings. 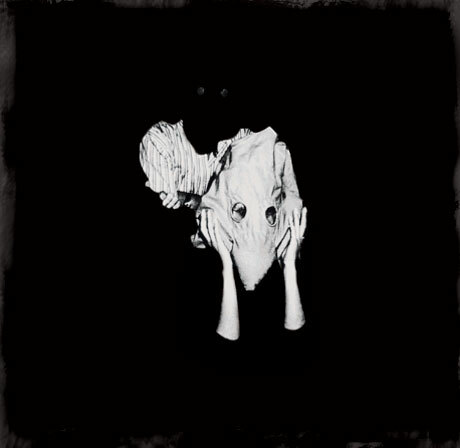 The collection, whose cover is above, was self-produced by the three remaining members of Sigur Rós: Jón Þór Birgisson, Georg Holm and Orri Páll Dýrason. According to a press release, "it sees the band shifting towards a more direct, aggressive sound." For a taste of this new sound, stream the opening track, "Brennisteinn," in the band's video below. It was directed by Andrew Huang. The group have a busy live schedule in the coming months. Scroll past the tracklist to check out the itinerary, which includes Canadian stops in Montreal, Ottawa, Toronto, and the Vancouver outskirt Burnaby. Sigur Rós will play Late Night with Jimmy Fallon tonight (March 22). Expect them to perform a song from Kveikur.